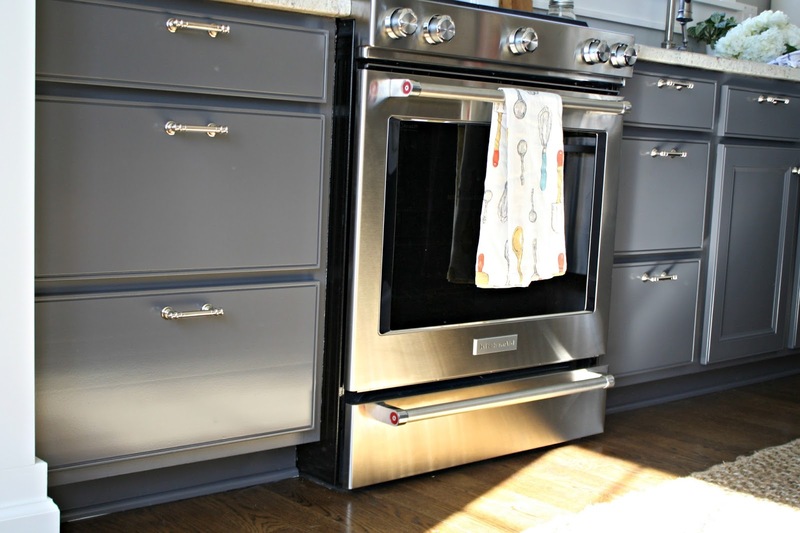 The Epic How to Paint Your Kitchen Cabinets Tutorial! Here's the thing. I've sprayed cabinet doors and furniture before. I just didn't love the set up and clean up process so I avoided doing it often. 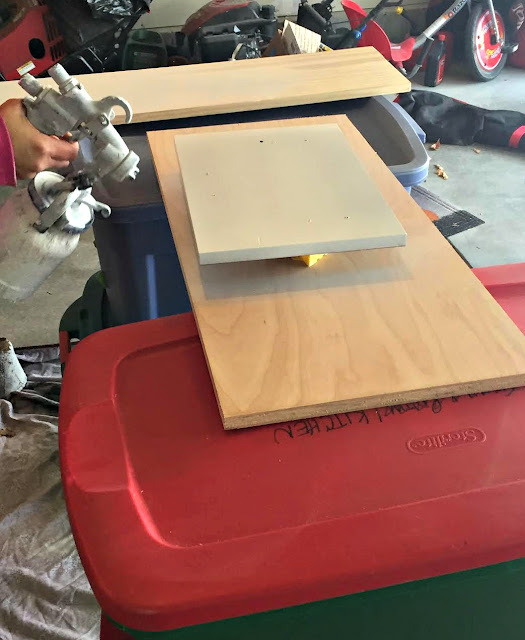 I told you about my new love affair with the best paint sprayer I've used here -- if you are considering this project I HIGHLY recommend it. It will get the job done well. 1. 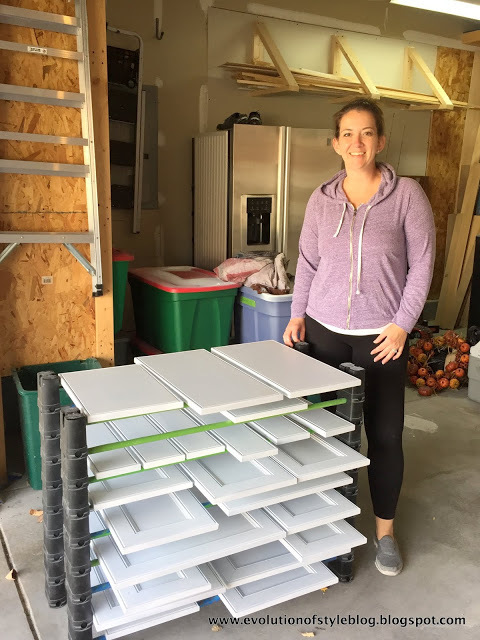 Remove and label all your doors and drawer fronts. Keep track of your screws and hardware in separate baggies -- label the bags well! Number your cabinets doors when you take them off -- use painters tape and a sharpie and write the number of the cabinet on the tape. This will eliminate the guessing game of where they go back when you are done! I recommend wiping them down first because if there's crud on them then sometimes that just gums up the sanding block. It's best to clean them a bit first and then sand. 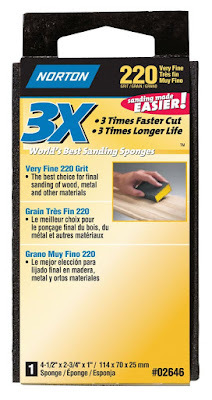 Now you don't have to go crazy with sanding -- more on that in a minute. But you just need to get a little bit of that shine off the cabinets. I didn't sand hard or much -- literally a quick pass over the fronts. I have it in a spray bottle already mixed but I can't find that anymore. 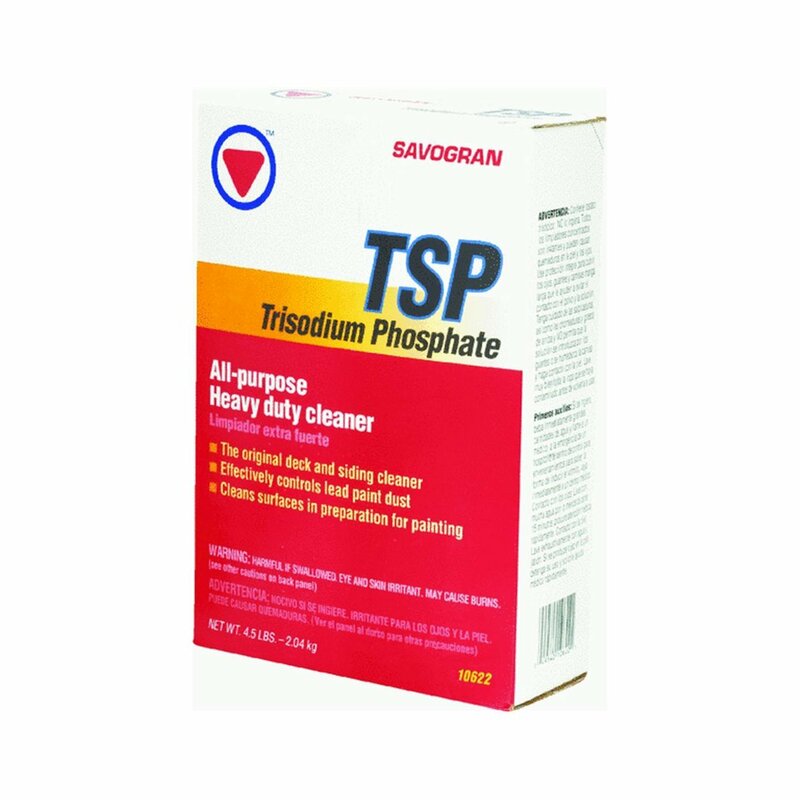 Spray it on, wipe it off and then do another wipe with a clean wet rag to make sure all of it is removed. I really like that the spray version is already mixed up so if you can't find the spray TSP than this is a good option. Here's the thing -- you really do need to sand a little bit. But in my experience the MOST important step is cleaning really well. Paint will not stick to goo. :) And if it does it will wipe off with the goo later. Cleaning is by far the most important step in my opinion. This part went incredibly fast. We did one coat on the backs, waited an hour for them to dry (actually a bit longer but you can after an hour) and then we flipped them and did the fronts. I could not start the topcoat (the paint color) for another 24 hours to ensure they cured well. More on that drying rack in a minute! It's the bomb. I mentioned in my post about the sprayer that you'll want to be able to walk around your set up while painting. Give yourself plenty of room! I later added a tarp so the bins wouldn't get paint on them. The spraying process goes incredibly fast! Jenny did the priming with her gun (she does this professionally now and has a very nice spray gun) and she finished up each side in about 30-40 minutes. That's 23 cabinet doors and drawer fronts! That way you can get them higher so you can spray the sides of each door. I've used these for various projects over the years and they're handy to have. We would not have parked in our garage for two weeks without it. It also was nice because it kept out of the way -- I feel like it protected the drying cabinets from dust better than if they were just laying all over the floor. It also helps them to dry faster as well. You can absolutely still paint your cabinets without this -- it just makes it easier. If I didn't have it I'd use boards to lay the doors and stack them. You'll want something to let the air flow through a little bit. 5. 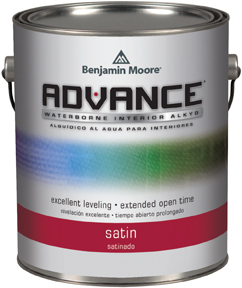 After 24 hours you can start your topcoat (your paint color). First you'll want to give the cabinets a very light sanding if they have any imperfections. I didn't go crazy with this -- I'd run my hand over them and if I felt anything I'd sand it down lightly. Do this between all your coats! Fuzz and small debris are sure to get in there at some point and sanding them down will get rid of that stuff. I've heard of this for years but had never tried it. A friend used it in their house years ago and didn't love it so avoided trying it. Now I understand in some applications it's not great and I'll go into that more in a minute. I used the satin finish and it is much glossier than I expected for satin -- it's perfect! 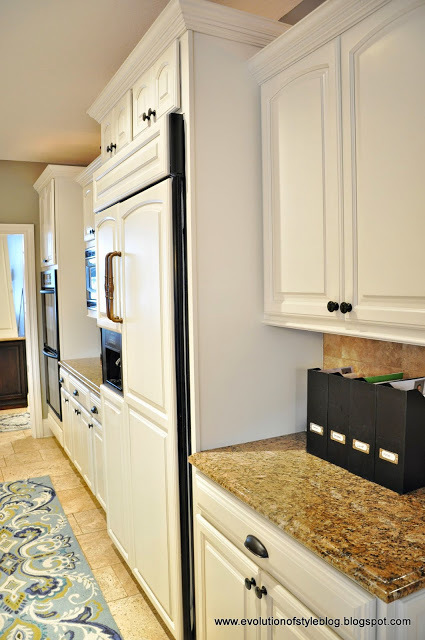 The lower cabinets were mixed in Sherwin Williams Peppercorn and the uppers SW Pure White. 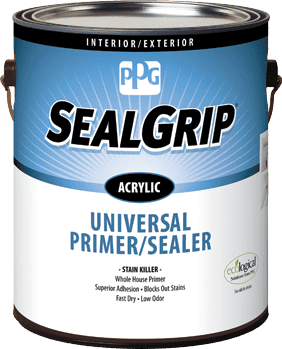 Things to know about this paint -- it can go on thick and will look bumpy when it's applied with a sprayer, but just hang in there! Your weather will affect this and drying time -- I had a bit of a freak out moment and texted Jenny the first night because they were taking forever to dry. Usually within a few minutes you can see some parts starting to dry and that first coat didn't start to lose the glossy wet finish for hours. It was raining that night and I knew that would play a part in it, but it just looked thicker and wetter than paint I've used before. This paint is pretty amazing at self-leveling, so it takes a long time to dry. It should be dry to the touch by six hours but you can't recoat for 16 hours. Because of the weather I started waiting even longer between coats to be safe. I did a two toned look so I could paint one color one day, then the next day do the other. This gave them a couple days to cure each time. When the rain stopped the dry time got much shorter, but it's never a bad idea to let them sit a little longer if you can. Another tip from Jenny that I didn't think of -- start on the backs. 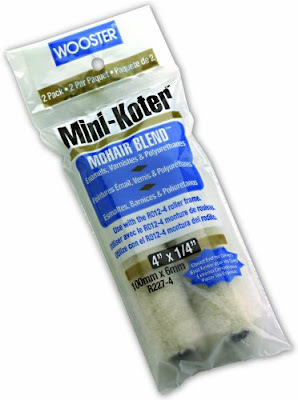 This lets you get the kinks out with your sprayer and get used to using it. This is a REALLY good idea if you've never used a sprayer before. 6. Sand lightly between each coat and then spray again. Jenny recommended one coat of primer and two coats paint on both sides. I cheated a bit on the backs -- I only did one coat. ;) It covered so well I didn't need to coverage-wise. Considering I never even paint the backs of my cabinets I was impressed I even did that. Ha! They worked great! I usually use foam rollers but I quite liked these and the finish. Here's where I wasn't thrilled with Advance paint -- I used a brush to apply it to the upper frames (those were the first ones I painted) and I didn't like the finish at all. It was crazy because for as long as it takes this paint to dry on the doors, it was drying super fast inside and was hard to work with. I also didn't like the finish on the frames -- you could see the brush marks very easily, even with sanding in between. It's not my brush, it's just the nature of the paint. What should have taken two coats of white took three and honestly I could have done a fourth. I ended up using the mohair rollers on the bottom frames and that finish is SO MUCH BETTER. So smooth. I used a brush for corners and hard to reach spots and then rolled over it as much as possible. One issue I ran into along the lower frames was the silicone the granite guys added during install. 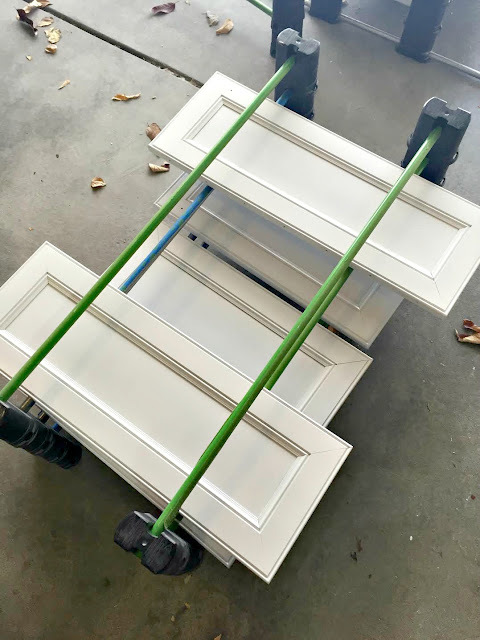 I put the painting of the cabinets at the end of my list so that they wouldn't get messed up during the install of the other stuff in the room, so if you are doing the same ask your granite folks to hold off on the silicone (underneath) and you can do it after you paint. I gave up on the stuff higher under the counters. Thankfully our lowers are dark so you can't see it well. If you are going from dark cabinets to light all over and are having granite installed, be sure to remember this! I tackled the doors first and the frames second -- I later thought I should have flipped that. The doors were sitting done and I had to wait days while I painted the frames. Now I actually would recommend that -- it gave the doors a chance to sit and cure for awhile while everything inside dried. This paint (any paint really) takes a good month to REALLY cure well. That means it's not super hard till then. Some say even two months. I put our new hardware on the cabinets but didn't screw them in all the way -- I'll wait for another few weeks to do that. I thought the process would take me a week but it would be difficult for one person to get it done that fast with the dry time needed. It ended up taking about 12 days and I finished installing the cabinets on the 13th day. The cabinets had cured for about five days at that point, the frames a few days less. I'm not going to share wide shots just yet because that will ruin the surprise. :) I am pretty confident I'll be able to share the entire room reveal next week. I have to tell you…it is beautiful. I absolutely love it and don't think I've ever been happier with a room redo. WOW! I love the white uppers!! I nearly cried when I put them up, not kidding. They are so beautiful and it was so thrilling to see what was in my head all this time come to life. I'm a contrast girl and they are absolutely stunning with our floors and with our light countertops. I don't think I could be more thrilled with how this space has turned out though. I looked at a before picture the other day and the difference blew ME away and I'm the one doing it. Ha! I cannot wait to show you! I hope you found this helpful if you are interested in painting your cabinets! Remember if you have a grain on your cabinets they will not be quite as smooth. Sanding well before and between coats will help to reduce the grain but it's hard to eliminate it. Oh and I've been asked a ton about a protective coat. No, you don't need to add one. I've painted many pieces of furniture and cabinets and if you use a good paint you will not need to do that. 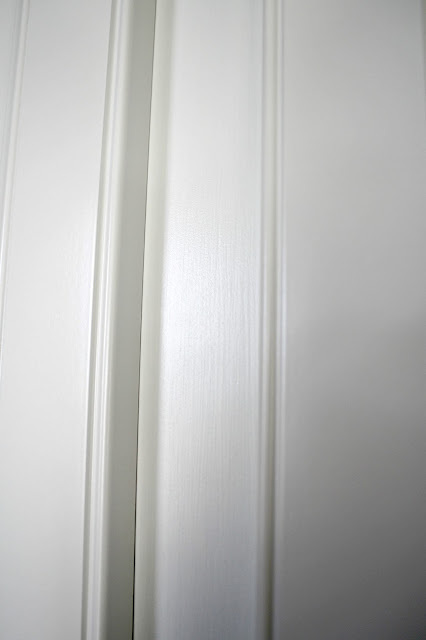 If you want to add one keep in mind if you are painting your cabinets white you need to use a water based poly so it doesn't yellow down the road. If you have any questions or if I forgot anything please let me know! I'll be happy to answer them in the comments. I know I've probably forgotten something! We repainted our kitchen cabinets last summer and it has made a HUGE difference! Love all of the little gadgets and racks you used to help keep things contained so they could dry. We did our cabinets in groups, on the crappy carpet in our basement (with a drop cloth). Wish we'd had a sprayer to paint...we did ours with brush and then roller to smooth out the lines. Love love LOVE!!! Can't wait to see the finished product! Thanks did the tutorial; yours are always the best! Good point I forgot to include -- I didn't caulk where the panel meets the frames of the cabinet doors because that panel can move around a bit. I did end up caulking the corners of some of those frames though -- only with the white cabinets. There were gaps you don't see as much with the wood tones that I had to fill. If you get up close you can definitely see where the cabinet frames meet but that doesn't bother me -- you could see that before. You could maybe to black lowers? That would look beautiful! Such a great post! I think you did such an awesome job! I've been dying to paint our cabinets for years and just need to bite the bullet and do it! Thanks for the great list of how to do it! So I saw your Instagram post this weekend saying you'd be giving this tutorial today and I have been stalking your blog all morning (like seriously page up, hitting refresh). I want to paint our cabinets and needed YOUR advice first! I wanted to copy exactly what you did, but now I am wondering if you would recommend using a different paint since you weren't as happy with how it went on the frames? Also did you have any areas that were beat up or cracked that you needed to do anything other than sand? P.S. They look amazing!!! Can't wait to see the wide angle shots! Thank you Caitlin! I really love the paint so I would definitely use it -- if you use a roller it goes on really well. I had one spot that had some damage but I just sanded it down a little extra and then painted. Good luck!! 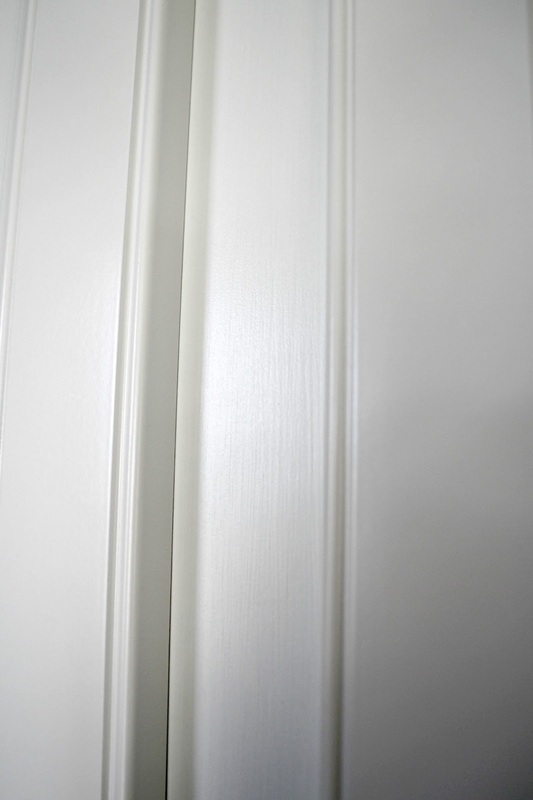 So would you recommend the advanced paint from bm if your planning on rolling your cabinets and cabinet doors? As much as I love to spray paint them, I don't have the skill or the cash for that. Yes with a roller you'll be good! My biggest advice with a sprayer is to practice on something else first. That way you get the hang of using the sprayer so you don't make any mistakes to your cabinets and doors. Also, I have painted my cabinets with a paint called cabinet coat. It's made especially for cabinets. It sprays beautifully and levels well. I ordered it from ace hardware. The color is perfect with carrara marble counters as it is a true white. Can't wait to see your kitchen next week. I am so excited to see the finished kitchen!!!! WOOHOO Happy Dance. Your house is such an inspiration! Now if I could just get the rest of the family (ie husband) on board with projects!! Sarah, such a great tutorial and your cabinets look absolutley amazing. I'm hanging off of every blog post and Instagram update for this reno! Can't wait to see the finished product! So excited for you! It looks great! A few years ago, I paid someone to do our cabinets and it was so worth it! He used a sprayer and it was dry so fast. It was like car paint or something! It looks amazing already! 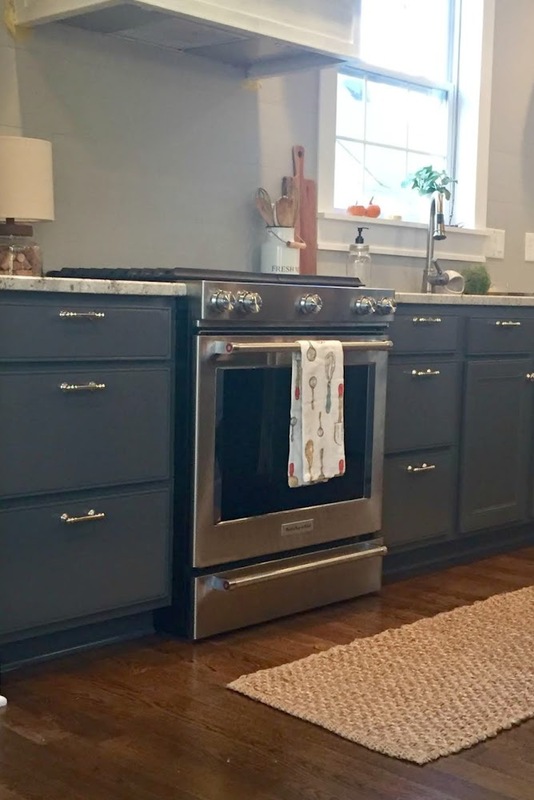 Wondering how you think this color scheme might work with stainless refrigerator and dishwasher but black stove top, sink and ovens?? I can't picture it. Love this! 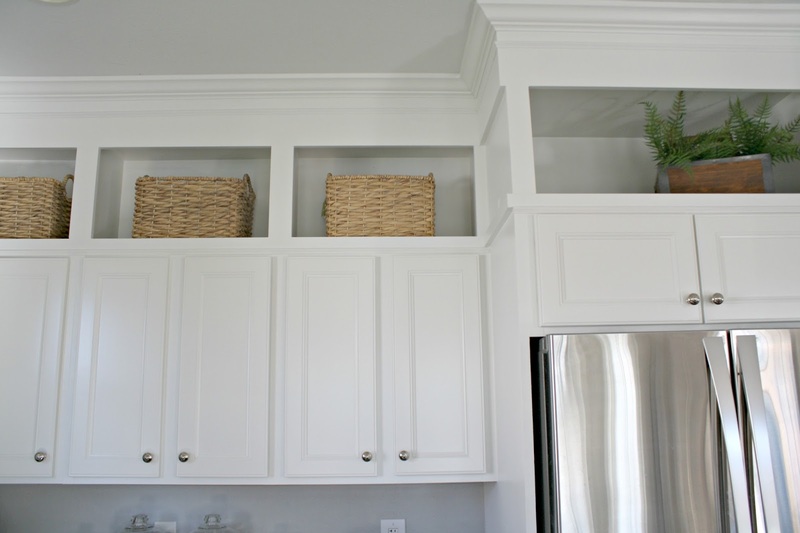 I'm thinking of doing the tuxedo kitchen look with white on top and navy blue on the bottom as wel, but what really strikes me here is the addition to the top of the cabinets near the ceiling! Is there a tutorial for that somewhere??? Please tell me there is :) I'd love to put that on hubby's honey-do list! Wow, such a transformation already!! I love the crisp fresh look & I never feared your vision, you're alwayssssss great!! Happy week! Wonderful! So much good information. Beautiful job! One tip tho.. With Advance paint it's recommended that you paint in one direction then paint in the other to eliminate brush marks and get a glass-like finish. I just did this on a white bedroom set and it's incredibly smooth. Wow, Such a great post!! Love this kitchen! Thanks for the tips! Would you recommend a white water based poly paint if I were to paint over cabinets that have been painted before? I would sand them well and then do a new coat of primer before you repaint (in case they added a poly) -- as long as you use a good paint you'll be good! I've been waiting for this tutorial for several weeks!!! I have builder grade MAPLE cabinets - 10 year old now and would like to update to white. Several friends say not to paint the maple cabinets - I'm not sure why? What does this forum think about painting maple wood cabinets white? Do you pant the insides also??? Thanks. Are your cabinets wood? Do you have any advice for painting laminate. Thanks! They look great!! Yes they are. 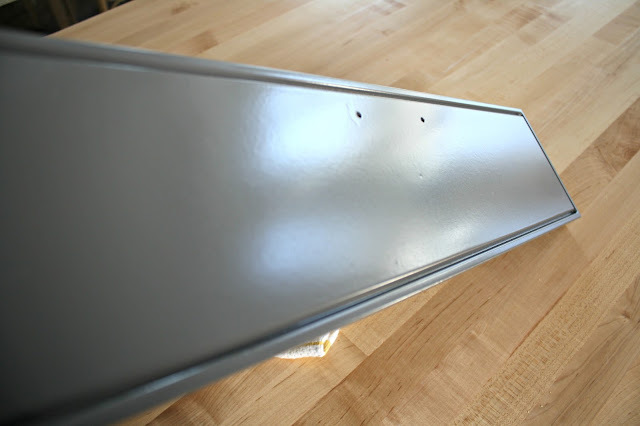 With laminate you need to amp up the prep work a bit (more sanding) and use a shellac-based primer like BIN. Good luck! Oh my gosh, this looks beautiful, and the tutorial is amazing. I already sent this to a client who mentioned wanting to paint her cabinets. By the way, I've pinned it, but if you end up adding a really great branded pinnable pic, let me know and I'll repin it! Beautiful! I'd love to know if you caulked the seams too. When we finished our basement we bought unfinished cabinets which I painted white. Before I primed, I caulked the seams around the panels. Now those seams are cracking and it's driving me bonkers!! I need to figure that step out before I tackle painting our builder grade honey oak kitchen cabinets. Thanks Sarah!! Yes I'm glad you mentioned this! Some I did have to caulk, but I only did it on the white cabinets and only did the corners of the cabinet fronts, not the area around the panel. I didn't do the panels because that part can move around and cause the problems you are dealing with. :( The spray covers that part well enough that it doesn't bother me. Gorgeous girl! Can't wait to see the reveal. The hardware looks stunning with the new paint!! Oh my gosh! These are amazing! I really have to get over my intimidation and get mine done! I think I will have to add another step since mine are builder grade oak and I want to fill in the grain. We are closing on a home next month that has kitchen cabinets that need to be painted. Thanks for the step by step! They look awesome! Great tutorial and tips. Thanks! My quandary is I have a 29 year old kitchen with original laminate cabinetry....which I hate. Mauve! Can you imagine anything worse? I've wanted to remodel the kitchen since we moved in nearly 17 yrs ago, but it's never been in the budget (appliances have been replaced, just not counters and cabinets). Fifteen years ago I SHOULD have at least painted the laminate, but I feared painting over laminate looking tacky (didn't have the same products we have today). Since then the years passed and the heavy wear and tear of a family of six left their mark. Now even painting them feels overwhelming and a waste of time. All that labor (and here's my biggest problem through the years) and what if, what IF I'm able to remodel. Why bother painting when the whole thing needs to be ripped out anyway? So there it stays for another year. Truly I've been my own worst enemy where my kitchen is concerned. I've remodeled the entire rest of the house and this darn kitchen holds me captive. Sigh. So I guess I'm asking you, is it worth trying to clean, prime, and paint these outdated laminate things? Trudi I would do the same so I understand! 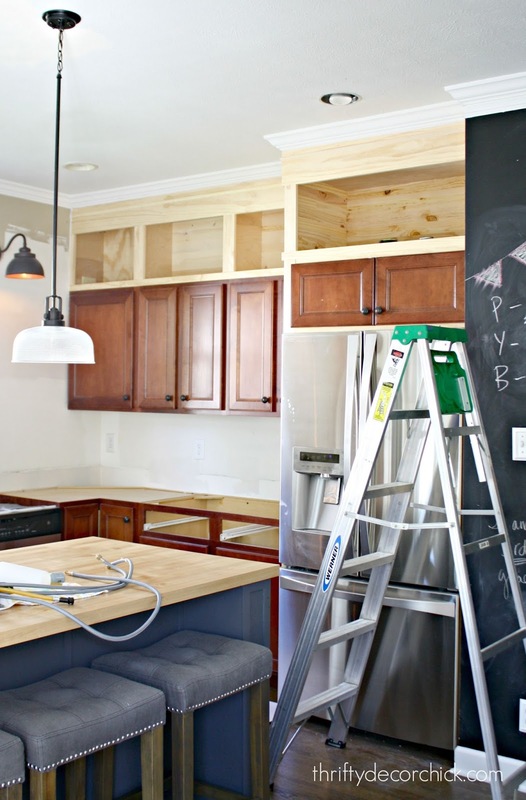 Do you think you'll redo the space in the next year or so or later? If sooner than I wouldn't do it, but if it will be awhile you can try it! You need to prep even more -- sand really well. And use a shellac primer like BIN that will stick. Let everything cure well in between coats -- let me know if you do it! Beautiful! Thanks for all the great info and enjoy....just in time for the holidays. Ive been hanging on this renovation, it is turning out amazingly!!! I actually just painted my french doors black after oogling yours for so long :) so my question is also about painting laminate! It seems like your tutorial here would work really well on laminate, but I'd love to hear your thoughts!! 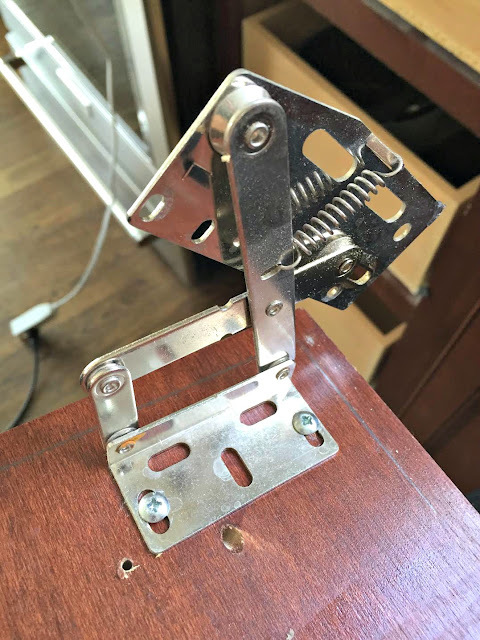 Baring that, do you know how/where I could purchase new doors and drawer fronts? Thank you!! Laminate is tough! I've done it and it didn't hold up well. You have to prep more than with wood -- a good sanding especially. 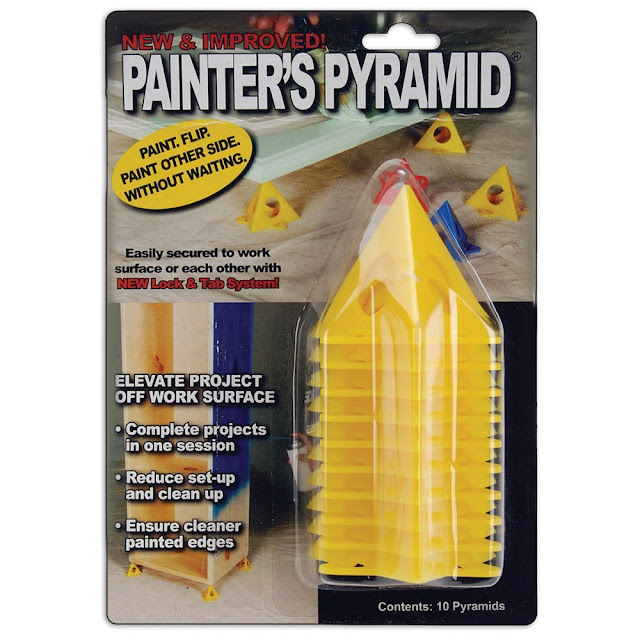 And I'd use a BIN primer that's a shellac -- that will stick to laminate better. It can be done but the long term result is iffy and it's more work. Let me know if you try it! You could never go wrong with paint, nice pics. great tutorial! thanks for the paint recommendations! your kitchen looks so bright and pretty now...well done! Your kitchen is coming along beautifully! Can't wait to see the finished product. Nice job Sarah! If I ever have to go through the kitchen cabinet painting thing again, I am totally using a spray gun! I LOVE how my cabinets turned out, but they took me FOREVER to prime and paint with a roller/paintbrush. Any thoughts on re-painting kitchen cabinets? Our house came with painted cabinets. They are in rough shape, but I think we could avoid redoing the whole kitchen by repainting them. I am so glad I found this post! We are building our house now and want to do dark lowers and white uppers as you did. I was just as the paint store today, and gazed at the Peppercorn you used. I thought it looked to black on the store, but in some of your shots it's clearly dark gray, which is what I am looking for. Would you say it shows up more black-gray or true gray to you? I'm sure that's hard to judge with different lighting, etc. I love your whole kitchen re-do, it's beautiful ! !